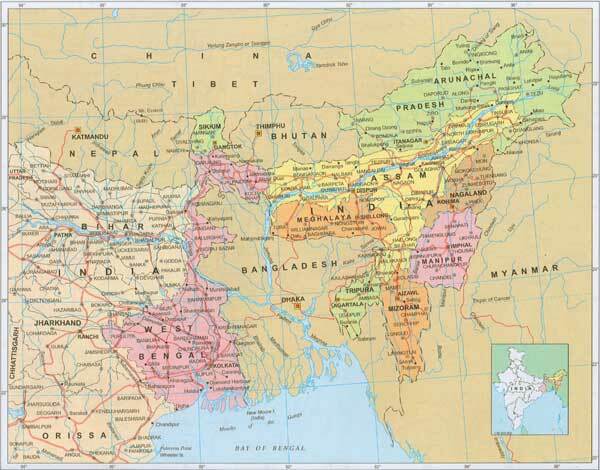 India’s northeastern states are strategically important and are endowed with reserves of a variety of natural resources such as uranium, coal, hydrocarbons, forests, oil, and gas. However, among the biggest challenges the region faces, is connectivity. To resolve the issue, two years ago, New Delhi, during Japanese Prime Minster Shinzo Abe’s New Delhi visit as the Chief Guest of India’s 65th Republic Day Parade, invited Tokyo to invest in and build overland infrastructure in the country’s northeastern states. 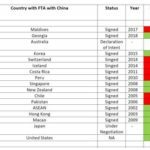 This matter was also discussed during incumbent Indian Prime Minister Narendra Modi’s September 2014 visit to Tokyo. However, the project has been unable to take off the way it was expected to. 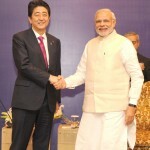 Even during Abe’s New Delhi visit from 11 to 14 December 2015, the project was just mentioned in passing, and maximum attention was accorded to other matters such as the nuclear deal, fortification of defence relations, and Japan’s winning of the contract to build India’s first bullet train network. The bullet train will connect Mumbai and Ahmedabad, and the cost of construction will be $18148.15 million. In that light, set at $2777 million, the Northeast connectivity project has an ambitious budget, aiming to build better road connectivity for about 1,200 km in the region and transforming it into a manufacturing hub. The funding of the project is set to be done by the Japan International Cooperation Agency (JICA), a Japanese state-owned development agency, via Japan’s Official Development Assistance (ODA) loan to India. The National Highways and Infrastructure Development Corporation Ltd (NHIDCL) is the local Indian partner delegated with the responsibility of working with JICA in the region. The projects undertaken by JICA and the NHIDCL will begin in April 2016, after the Detailed Project Reports (DPRs) get a nod from JICA and the Department of Economic Affairs via India’s Ministry of Roads Transport and Highways. Two main road projects include: a. the widening and improvement of Aizawl-Tuipang NH54 route (380 Kilometers) in Mizoram that will connect India to Myanmar; b. the same for the Tura-Dalu section (48 Kilometers) of NH51 in Meghalaya. The DPRs for these two projects have already been submitted. Northeast Indian states share 5000 kilometers of international borders, with Myanmar, Bangladesh, China, Bhutan, and Nepal, providing strong links to foster economic integration with both South and Southeast Asia. 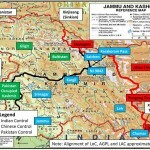 Better connectivity within and between India’s northeastern states is central to ensure border security and maintaining peace and stability, especially given how the region has suffered from chronic insurgency for decades. The northeastern region also is a key part of India’s ‘Act East Policy’ that aims to develop regions that lack infrastructure, and to build partnerships with key states in the Asia-Pacific, with a particular focus on Japan, Vietnam, Australia and other ASEAN countries. For our northeastern states to serve as India’s link to its eastern neighborhood, connectivity in the region requires to be substantially increased. 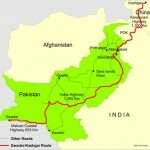 There are several infrastructural challenges that trouble the region. They include low road density and the poor quality of existing roads. Intra-regional connectivity too is inadequate. Silchar and Dimapur are the only two main rail-heads in the area and the other existing rail and road infrastructure connecting to various state capitals are unable to cope with the increase in both goods and passenger traffic over the years. The widening of the NH54 and NH51 is necessary for the region as this will aid the region in handling the increase in the traffic volume. Better connectivity via improved road and rail links will give a boost to indigenous production as it will help produce from the northeastern states find ready markets in the country itself; and, it will also provide for access to compete for imports. It will also increase access to the larger Indian and export markets. Japan is the only country whom India has actively invited to help in socio-economic development projects in Northeast India. Tokyo has been providing ODA loans in the fields of energy, water supply, forestry, and urban development in the Northeast since 1981. JICA is known for its expertise in constructing durable and environmentally sustainable roads across tough mountainous terrains, such as those in the Northeast. The agency has undertaken similar projects in Sri Lanka, Indonesia, Bangladesh and Ghana, Morocco and Tanzania. Building roads, railways, seaports and airports helps create quicker routes for trade and transport of raw materials to the resource-poor Japan. Also, improved infrastructure in the territories of JICA’s ODA loan recipients makes it easier for Japanese companies to operate in them later. The Northeast connectivity project will give the region as well as India’s ‘Act East Policy’ a major boost. The New Delhi-Tokyo engagement thus has the potential to further fortify India-Japan ties. Trade and commerce is best served by sea/river and then rail. Chittagong is the natural port for NE. As per the initial plan, undivided Assam was to be part of Pakistan. However Gopinath Bordoloi, prevailed upon Congress not to implement it. Road link will surely improve the life of NE citizens, but to state/believe that it will be a game changer is incorrect.